• Where does the rescue cash would come from? 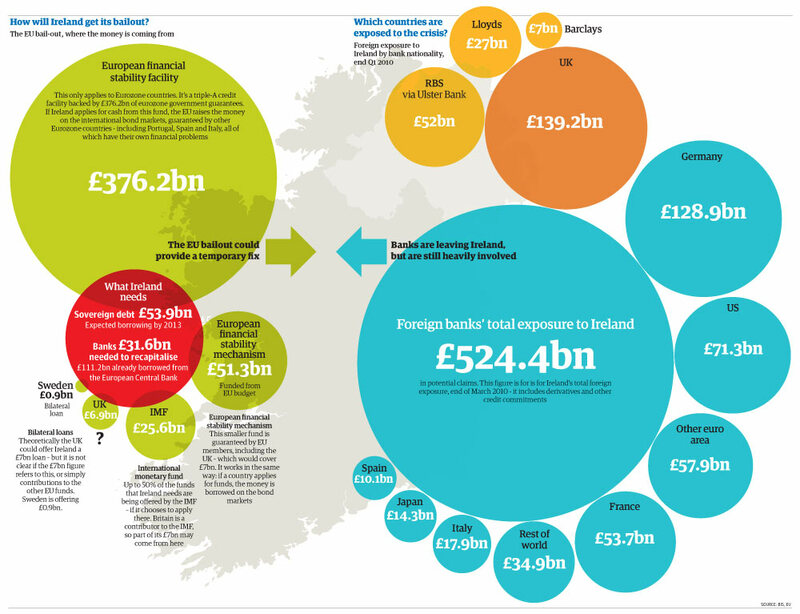 • How exposed is the UK to the Irish crisis? • Who’s funding the bailout in the EU? • What other countries in the world owe billions to foreign banks? Who is bailing out Ireland? Chartporn, I can’t quit you . . .
One Response to "Ireland Bailout"
When is this giant debt pyramid going to blow up so we can all go home?? ?